I HAVE SEVERAL CONTACT OPTIONS FOR YOUR CONVENIENCE. (PLEASE DO NOT CALL AFTER 9:00 PM). I DO PERFORM HOME INSPECTIONS ON SATURDAYS AND SUNDAYS. IF I'M NOT BUSY WITH A CLIENT...I'LL RETURN YOUR CALL WITHIN MINUTES. Or (better yet)...fill in the form below and I will contact you shortly. 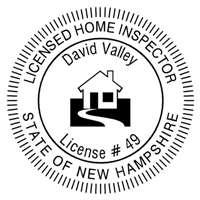 All personal consumer information submitted through this website will remain confidential within my company...Massachusetts Home Inspections.